This is a good time to sell a home. The National Association of Realtors reported that the median price for existing homes stood at $240,500 in January 2018, up 5.8 percent from one year earlier. At the same time, homes are selling quickly, too — the NAR reported that the average amount of time it's taking homes to sell is just 42 days. If you've been thinking of selling your home, this would appear to be the right time to do it. 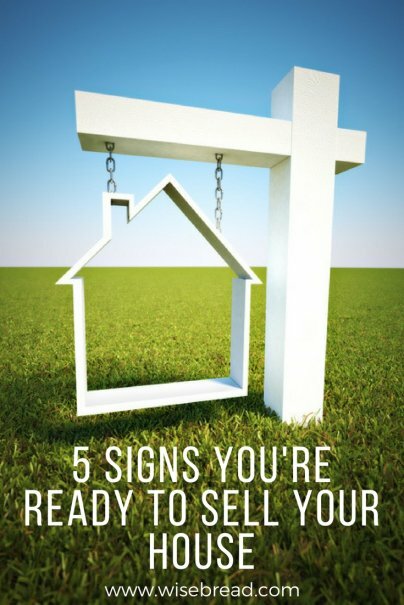 But how do you know if you are truly ready to sell? What financial and emotional steps do you need to take to get yourself and your home ready for buyers? The most important sign is that you have enough equity in your home. With sufficient equity, the odds are better that you'll leave the closing table with profits in your pocket. Equity is the difference between what you owe on your mortgage and what your home is worth. The more equity you have, the better. If you owe $150,000 on your loan and your home is worth $250,000, you have $100,000 equity in your home. Determining your equity can take a bit of work. First, look at your most recent mortgage statement to see how much you owe. Next, figure out how much your home is worth today. Don't rely solely on sites such as Zillow — their estimates are often inflated. Instead, call a real estate agent and ask them to perform a market analysis. The agent will compare your home to similar ones that have sold in your area and come up with a market value. Agents shouldn't charge you for this service. They hope, after all, that you'll call them if you do decide to list your home. You can also hire a professional appraiser to appraise your home. This isn't free, though: You can expect to spend about $300 to $400. Selling a house isn't cheap. If you want your home to look its best, you might have to hire a stager to clear out rooms and rearrange furniture. You might need to board your pets so that potential buyers won't hear Fido barking or smell Princess' kitty litter box. There's also the cost of applying for a new mortgage and buying a new home after selling your current residence. You'll need to pay for movers, come up with a down payment for your new home, and pay for home inspections and an appraisal. It all adds up. And, yes, you might be counting on the profits from your home sale to pay for most of the expenses of moving to a new house. But some bills you might have to pay before you receive your check from your home sale. So, make sure you've built up enough savings to handle the many expenses that pop up when selling. After you sell, you'll need a solid credit history to qualify for a mortgage for your next home. A strong score also nets you lower interest rates and a lower monthly payment. Before you list your home, order copies of your three credit reports — one each from Experian, Equifax, and TransUnion — from AnnualCreditReport.com. You are entitled to a free copy of each of your reports once a year. Study these reports for errors. If a report lists that you missed a car payment that you know you paid on time, contact the offending credit bureau to fix the error. Fixing mistakes can cause an immediate bump in your score. Are you growing your family? Are you running out of space for bedrooms? Does it feel like you're living in a clown car? It might be time to sell. One of the main reasons that owners sell is that they simply outgrow their current living space. If your house no longer fits the need — or size — of your family, it might be a good time to put it on the market. Selling a home is different from living in one. Your real estate agent might recommend that you remove most of your family photos. A stager might suggest that you put a favorite sofa in storage. You might get negative feedback from buyers on the paint in the kitchen and have to make changes. Can you handle this? Can you take criticism of your home and your style choices and make the changes necessary to sell your home quickly? If not, you might need to wait before selling. When you've lived a part of — or all of — your life in a certain residence, it's normal to have emotional attachments you aren't ready to part with. But if you are ready to cut those emotional ties to your home, you're ready to make the transition from living in a home to selling it.